So, do you start preparing for Christmas now that the wind is colder and you can hear Christmas carols emanating everywhere? Again, it is up to you how prepared you want yourself to be especially that it is your home and your life. And you know yourself better. Are you the type to slack off and regret cramming once the deadline is up? Do you hate falling in long lines and mixing in with the crowd? Do you love great deals and more options to choose from? If that’s the case, there is no such thing as being a little too early with your Christmas preparations. Spare yourself the hassle of last-minute preparations and do things a little differently this time around. It’s a topic that social media goes crazy for – when to put up Christmas decorations? When asking the holiday shoppers when they put up Christmas decorations and why, we received quite a few different responses. Some just want Christmas all year round, others wait until after Thanksgiving. One family said it was because they were going out of town and needed to get it done. Another, says because she has kids she just puts a little up at a time when she has a free moment. Social networking sites are perhaps one of the biggest milestones in this modern world we live in now. It has made our big planet unbelievably smaller and it has managed to bridge thousands of miles in distance and connected people of all race, color, and religion. And if you are among the majority who are constantly checking their social media news feed every once in a while, it’s hard to ignore the fact that Christmas is fast approaching when you can see it almost every time you log into your accounts. And the best thing about it is it does not just connect people but businesses have taken a new platform as well that is undeniably doing well these days. Another perk of putting up your decorations: It could help you make friends. The Journal of Environmental Psychology found that decorations show your neighbors you’re accessible and people perceive people with holiday decor to be more friendly and cohesive. So if you’re new to the block or haven’t been able to break the ice with the new family across the street, it might be time to bust out the garland and red bows. If you find yourself asking these questions, then it is probably the right time for you to kick into action and start decorating your home and begin your foray in malls to find the perfect presents for everyone on your shopping list. 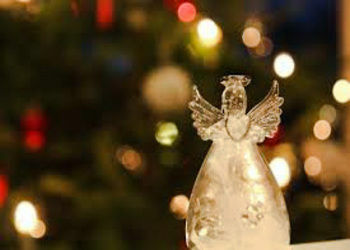 Most people have fond memories of Christmas and if it makes you happy too, go for it. Ignore what other people say and live a life full of positivity and good cheer. It is even more crucial if you have kids since you are showing them what Christmas is all about and filling their minds with lots of beautiful memories that will last them a lifetime. Get moving and don’t wait for Thanksgiving to be over to get ahead of everyone in preparing for the happiest time of the year.